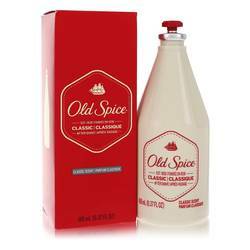 Old Spice After Shave by Old Spice 6.37 oz After Shave for MenOld Spice was introduced in 1936, and has gained a loyal fan base for many generations. A masculine blend that is clean and refreshing, Old Spice leaves the man feeling invigorated and refreshed. This manly scent top notes are orange, sage, lemon that blends into carnation, geranium, cinnamon, jasmine and heliotrope. How similar is blake's skin with yours? Take the Skin Assessment to find out how similar you are and find your SkinTwins.